Sapphire crystal cases have been all the rage, especially with makers of pricey, bold watches like Richard Mille and Hublot. 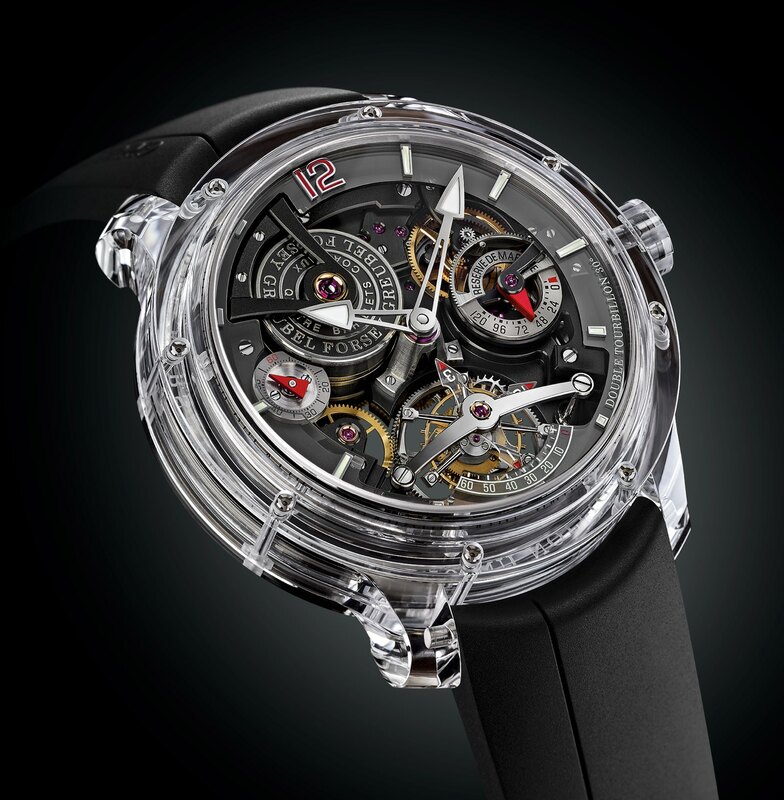 Exotic tourbillon specialist Greubel Forsey joins its peers with the Double Tourbillon 30° Technique Sapphire, its twin axis tourbillon inside a clear sapphire crystal case. 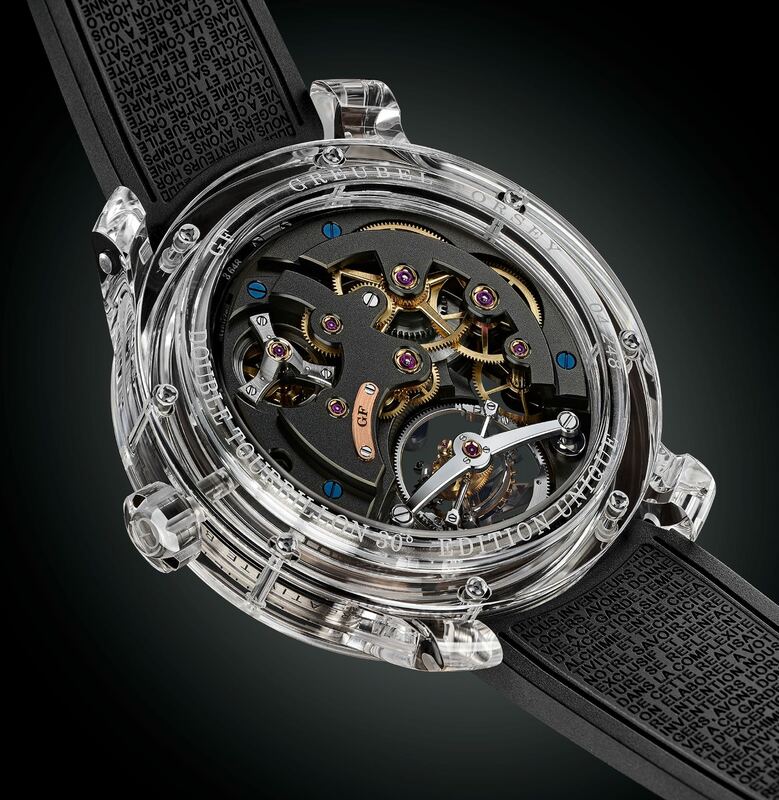 Not new – Alain Silberstein made several sapphire case watches in the 1990s – but now all the rage, the sapphire crystal watch case reveals the entirely of the Double Tourbillon 30°. The Technique variant of the watch was originally intended to showcase the finely decorated movement in all its glory, hence the lack of a dial and all the exposed mechanics on the front. 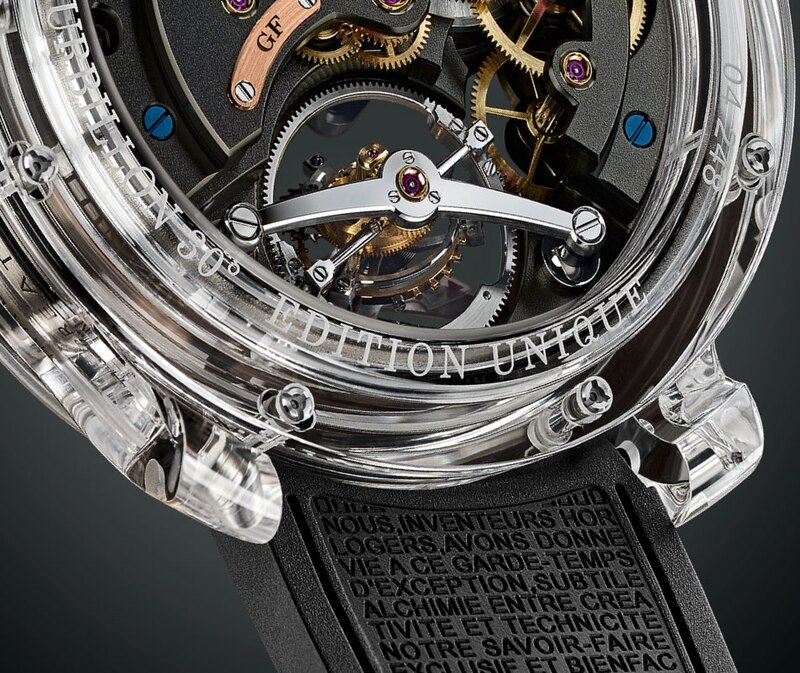 The sapphire case takes this to a new level, with the movement now visible from all sides. The sapphire case is made of three parts – bezel, middle and back. Because sapphire is more fragile, long screws with nuts that extend the height of the case (and are visible on the sides) secure its front and back. 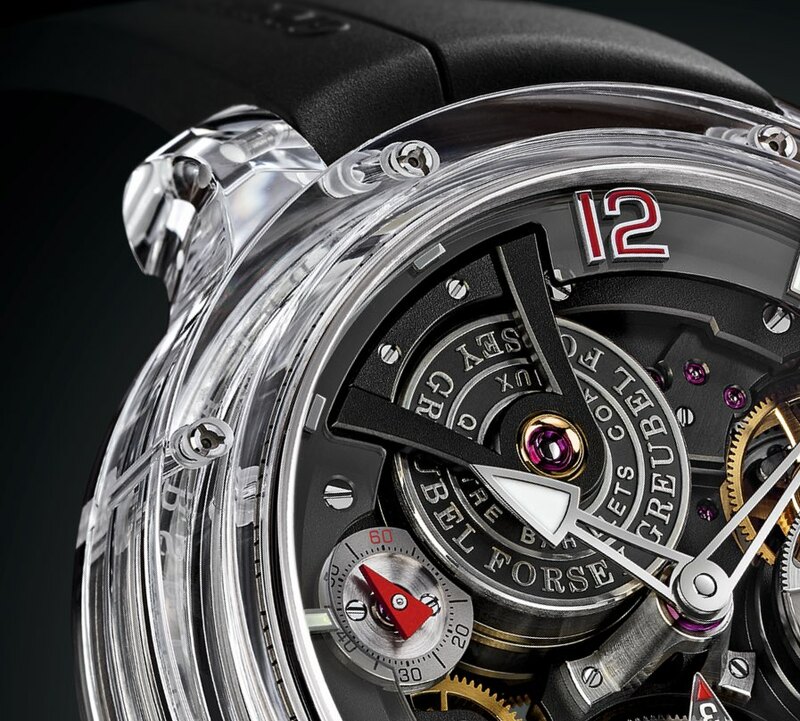 Consequently the case is larger than the ordinary Double Tourbillon 30° that is already a chunky 47.5mm in diameter. The sapphire version is 49.95mm wide and 17.15mm high. Limited to eight watches, the Double Tourbillon 30° Technique Sapphire is exclusive to the North American market. The price is US$1.1m. Update June 16, 2016: Price added.